We right now have only one confirmed fatality. One confirmed fatality — a female, yet unidentified, as a fatality. Other than that, we have some folks in critical condition and in serious condition. But the only confirmed fatality is that one woman. There's no evidence at this time that it was anything other than an accident. But in my previous job as U.S. Attorney I used to say to my folks all the time, "Don't jump to conclusions. Let the facts draw you to the conclusions." And so the state Attorney General Chris Porrino is leading the investigation along with the NTSB [National Transportation Safety Board] and the Federal Railway Administration. They've already been in contact. And we are focused on an accident at this time, but we're not jumping to any conclusions. I want to make sure everyone understands: there is no evidence that it is anything other than an accident, but we're going to let the facts lead us to what the conclusion is. We have engineers from both the Port Authority of New York and New Jersey and New Jersey Transit on site beginning the evaluation of the structural integrity of the building. And so first we need to see: Is the building in any further danger because of the impact of this crash? Once we make that evaluation, that will lead us to what the next steps are. Is it a rebuilding and renovation of the place? Are there certain interim steps we need to take to ensure the structural safety of the station? And what impact will this have on our ability to have trains coming in and out of that station? And so all that evaluation is ongoing right now now that we've gotten all the victims out of the train to either Port Care Hospital in Hoboken or Jersey City Medical Center. All potential victims have been removed. Now the engineers and the investigators are moving in — the engineers on the structural integrity, the investigators on the cause of the accident. The governor was scheduled out of state Thursday morning, but his office has said he will return to Hoboken by the afternoon. A spokesman for the governor says he will join New York Gov. Andrew Cuomo in a joint press conference some time around 2 p.m. The NTSB has a press conference coming at 12:45 p.m. New Jersey Transit will take questions at 1 p.m. The state is working closely with New Jersey Transit and New Jersey authorities, as well as all local and federal partners to provide assistance and keep travelers safe. New York State Police, MTA, Metro North, Port Authority Police Department, Department of Health and emergency officials from the Division of Homeland Security and Emergency Services are traveling to New Jersey to assist in ongoing response efforts in the aftermath of the crash. The NYS OEM Emergency Operations Center has been activated at the enhanced monitoring level and will continue to provide updates throughout the day. 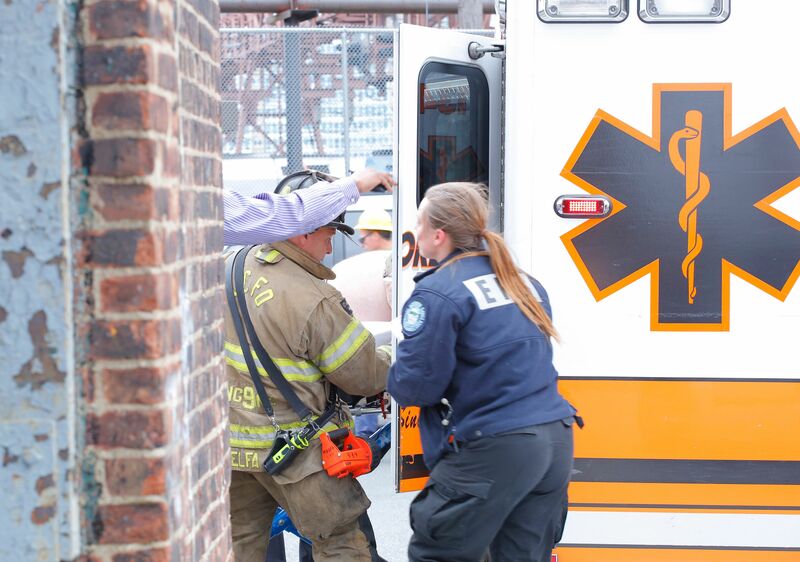 The Pascack Valley line New Jersey Transit train hit the Hoboken terminal shortly before 9 a.m. A significant section of the station's roof caved in. The city of Hoboken has temporarily suspended rail service into and out of the station. Ferry service has also been suspended in and out of Hoboken.